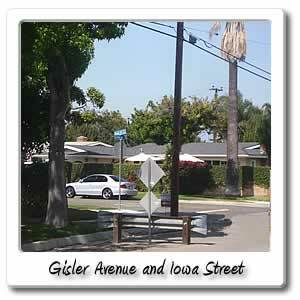 Welcome to Gisler Avenue on the Santa Ana River bicycle trail. 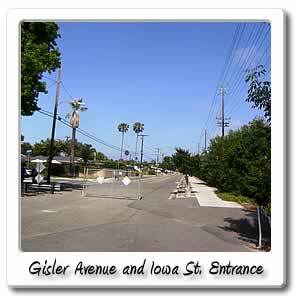 4.1 miles and about 20 minutes after the beach will be, Gisler is a small side street that leads you to Harbor, if you're willing to go a mile, you'll find a Denny's, McDonalds, Burger King, and an In and Out Burger. 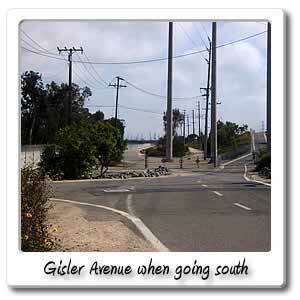 You'll be right next to the 405 freeway at this point. 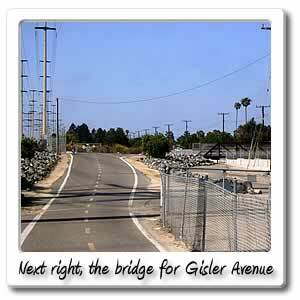 Don't go under the 405, you wont find any services for a while. The only highlight of this turn off, is if you're willing to go the extra mile, you can find just any type of burger you like. But if you're looking for a Carl's Jr. burger you can get one, by getting off the trail at McArthur Blvd. If you are craving Taco Bell you can also find it off the same Street, but you'll have to head in the opposite direction. 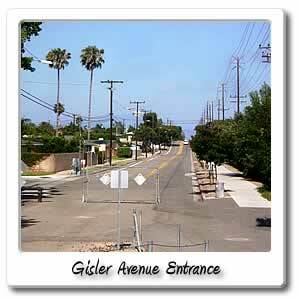 There are places to park around by Gisler Avenue and along the side of the road is Mesa Verde Country Club located at 3000 Club House Road in Costa Mesa, around the other side to Mesa Verde West. Do note that this is a private by invitation only. But you might see the tree lined fairways that are narrow, but the greens are large.